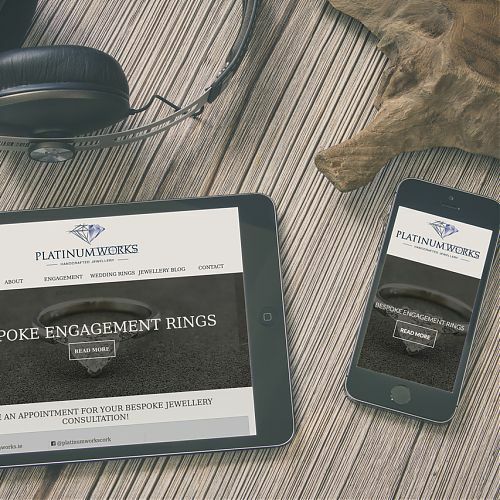 Our web sites have specialised layouts applied for mobile viewports, these help your mobile visitors to see text more clearly, to read without zooming in/out, and to make sales enquiries quickly and easily without having to use a desktop computer. Check out your Google analytics and see how many visitors your web site has, that would benefit from a mobile layout, you may find you have a significant percentage more of people making contact with your website by mobile! Google now gives mobile first indexing for their search results. This means it’s never been more important to use a responsive web designer so that you are not missing any important content going from desktop to mobile versions of your website. What does HTML5 mean for you? HTML5 will allow us to much more easily create a web site with a wider width for widescreen monitors, that will gracefully degrade down to iPad size and even show a mobile version of your web site. By satisfying the standards for all three devices, we are also adhering to standards by default for any new devices that may be yet to come on the market in this very fast-moving area. HTML5 allows us to use new tags like ‘article’ ‘section’ and on web forms to use new fields like ‘date’ so that date input fields can use native date pickers on mobile, and we can provide a jquery date picker option for desktop without native calendars. These new tags when we incorporate rich snippets according to the Google spec indicates to Google all the types on content very accurately from your website and allows Google to display them in the most useful way to their users, giving you an advantage over your competition not writing their code this way. This 2019 all new websites will employ content security policy headers. This gives your website extra resistance to hacking methods that use cross scripting attacks. We specify in the site headers exactly what scripts should be accepted, anything outside of those will be rejected at browser level. It is so important to both you and users that a website is as resilient as possible to attacks and this plus our other methods employed achieve that. We are designing our brochure websites to use no cookies at all outside of the anonymous tracking cookie that comes with Google Analytics. All new websites have the Analytics cookie anonymized meaning visitors are never identifiable via that cookie. We go to great effort to make sure your web site will render correctly in all major browsers, that includes Safari, Internet Explorer, Opera, Firefox. Internet Explorer was the dominant browser, however as the population has become more Internet-savvy, Firefox gained massive market share as have the smaller browsers on offer. You don’t want to lose a customer using a certain browser, especially when it could be that 20% of the entire population of Internet users are using the same browser. Because all browsers render code differently, it takes a bit of effort to achieve this compatibility, and entirely worth it for the highest standard of work. You can check your Google Analytics which shows you exactly which browsers and browser versions people are using when visiting your website. We would be happy to meet with you and go through all of the other important aspects of our web design process!